The latest official statistics have revealed nearly a quarter of a million people in Scotland now have diabetes. Data from the annual Scottish Diabetes Survey indicate 247,278 people now have the disease, which is not far short of 5% of the population, and the total is growing by around 10,000 every year. 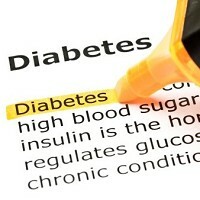 Most have type 2 diabetes, which can be caused by an unhealthy lifestyle. It is also more common among older people but whatever age, sufferers planning holidays are reminded to take out pre-existing medical travel insurance before jetting off. Scotland's chief medical officer, Sir Harry Burns, says the ageing population and unhealthy lifestyles are causing the problem. "The Scottish Diabetes Survey published today highlights the increasing number of people with diabetes that is directly related to the ageing of the population and unhealthy lifestyle factors such as obesity," he said. "Stopping smoking, eating better and taking regular exercise is something we can all do to make sure we are as healthy as possible."